Police used teargas and stun grenades against hundreds of Palestinians outraged over the murder, who pelted rocks at law enforcement officers. Red Crescent says dozens of injuries at ongoing Shuafat clashes, a mix of tear gas inhalation and rubber-coated bullets. 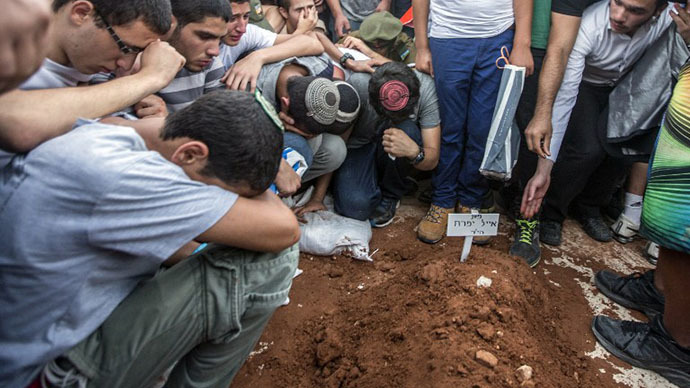 On Friday, Israeli officials handed over the body of the murdered boy to his family after Muslim prayers. Partially wrapped in a traditional headscarf, the body – said to be badly burnt – was carried by mourners aloft on a stretcher through East Jerusalem, The Associated Press reports. Thousands of people flooded the streets for the funeral waving Palestinian flags to greet the body of 17-year-old Muhammad Hussein Abu Khdeir. He was laid to rest near his home in the Shuafat district later in the day. “With our souls and our blood we will redeem you, martyr,” chanted hundreds of mourners, Reuters reported. The teenager’s family believes that he was murdered by far-right Israelis in revenge for the abduction and killing of three young Israelis in June. 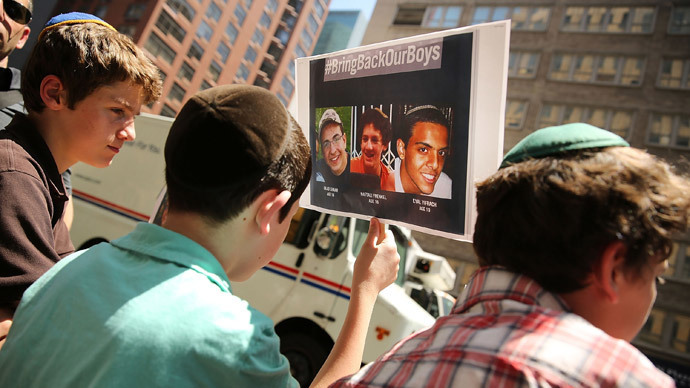 Abu Khdeir was kidnapped hours after the teens' televised funerals on Tuesday. His body was found in a forest on Wednesday. The youth’s killing infuriated Palestinians and sparked protests resulting in scuffles with police on Wednesday and Thursday. In a move to prevent possible trouble during the funeral, Israeli police tightened security in and around Jerusalem, particularly since the event coincides with the first Friday prayer services of the Muslim fasting month of Ramadan. 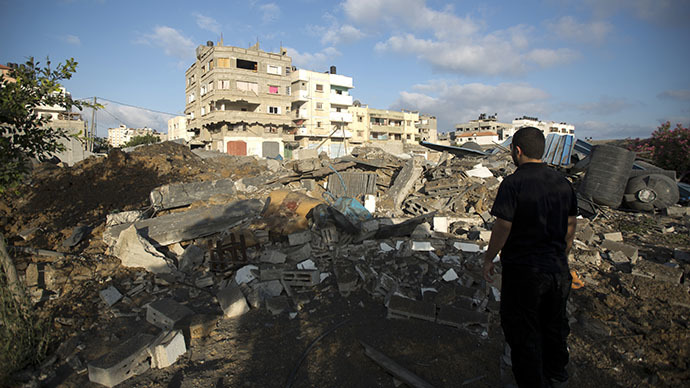 More than 100 injured in the past three days, Shuafat completely trashed. 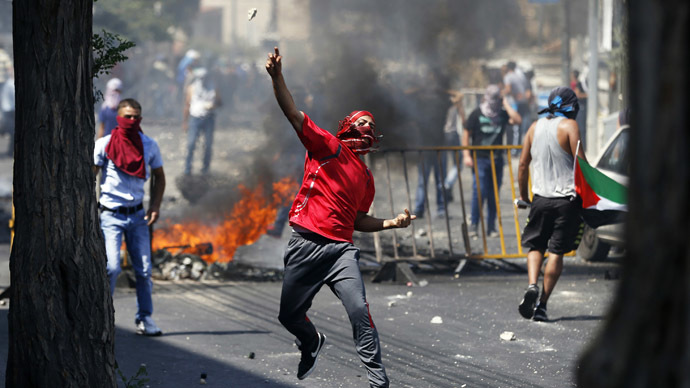 Violence hasn't been this bad in East Jerusalem for a long time. 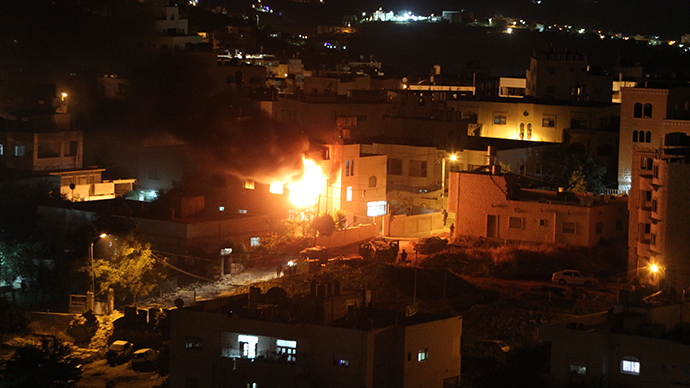 Clashes also erupted Friday in Ramallah, in the Palestinian West Bank, where protesters threw stones and firebombs at IDF troops. Eight Palestinians were injured in the confrontation: one by live fire, five by non-lethal fire and two others inhaled tear gas, Haaretz reported.